Accent your living room with this casually-styled five piece tray table set. Conveniently crafted, it is collapsible for easy storage. 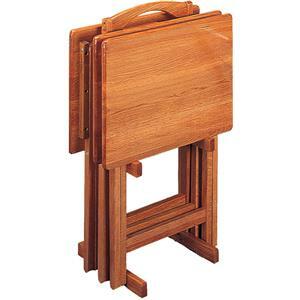 There are four tray tables and one stand included, making this a great set for entertaining. Crafted from solid wood, each piece is finished in a rich Cappuccino. Perfect for entertaining with snacks, beverages, and more. 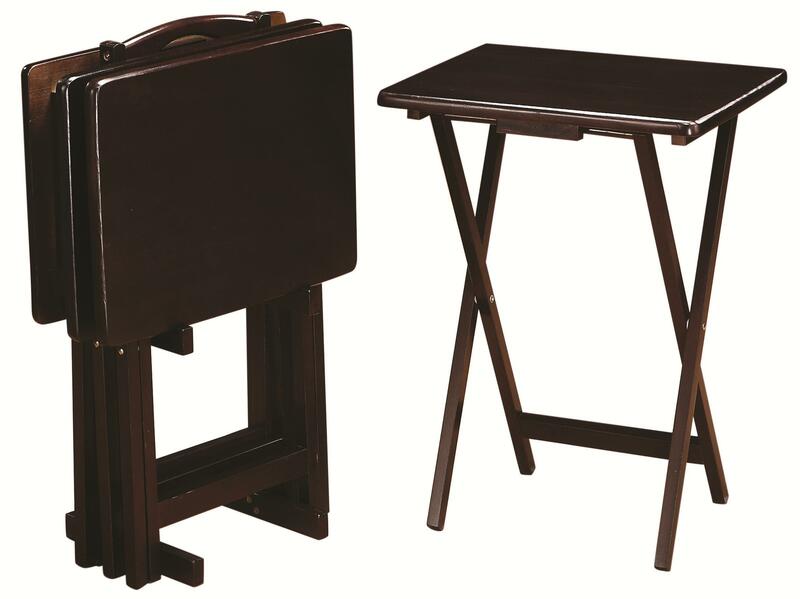 The Tray Tables 5 Piece Cappuccino Tray Table Set by Coaster at Value City Furniture in the New Jersey, NJ, Staten Island, Hoboken area. Product availability may vary. Contact us for the most current availability on this product.